Making his debut with an ambitious coming-of-age novel, Christopher Scotton paints a vivid portrait of the Appalachian region and its people. 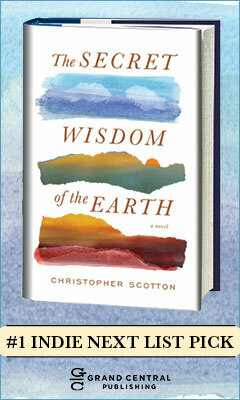 Using their flaws and charms to highlight and shadow, Scotton produces a masterpiece in The Secret Wisdom of the Earth. Leaving Indiana for Medgar, Kentucky, 14-year-old Kevin Gillooly and his mother try to escape the horror of an accident that took the life of Kevin's younger brother. His mother is nonfunctional with guilt, and Kevin is battling his own trauma, plus the weight of blame from his father for the accident. Medgar offers Kevin a freedom he hasn't known before and one he desperately needs to survive the suffocation his family's loss has created. He wanders the countryside with his new friend Buzzy Fink, discovering both the beauty and the hostility of a land that means everything to his grandfather, Arthur "Pops" Peebles. As adult Kevin narrates the story, he fondly recalls: "Off we'd go, breaknecking the hills and plundering the hollows where the compounded guilt and grief I felt would fall away like original sin at a baptismal." Through this small backwoods town in Kentucky, Scotton sketches a rainbow of humanity. Using natural--and often humorous--dialogue, vivid descriptions and authentic behaviors, he populates Medgar with a colorful cast Kevin meets as he assumes the role of assistant to his large animal vet grandfather. While most in Medgar are poor, this is the least of what defines them: "The Finks are poor, but they're proud poor. Esmer runs the hollow hard. Kids stay in school; they truck their garbage out once a week. These are solid people." Contrast them to the Budgets, who "generally don't go to school past the tenth grade; they live off the land, get handouts, and work the mines and odd jobs to make up the rest. They've been living in this hollow for almost one hundred years, marrying each other and having each other's babies. The gene pool is getting a bit shallow." And with the diversity of people comes an array of issues: racism, hate crimes, poverty and the issue that impacts them all, mountaintop removal. Coal mining has been a way of life in Medgar for many years, but instead of tunneling into the earth, the coal companies now remove the tops of mountains through explosions, leaving the landscape ripped open and scarred. For some of Medgar's residents, including Pops and Paul Pierce, the town hairstylist, this is a travesty that must be stopped. It's erasing not just the physical land but even the history of Medgar's people: the acid rain created from coal dust erodes the headstones in the graveyards. One Medgar resident bemoans, "We are talking about mountains that have been here for ten thousand years. Mountains that have defined us for generations... and now three are gone.... they are not coming back.... Ever.'" And Pops points out "People don't care about experts; they care about Betty Dodger being a widow.... They care about black water coming out of the faucets up in Corbin Hollow. They care about their neighbors getting sick from all this crap in the water.'" As dark as Scotton daubs mountaintop removal onto his picture of Appalachia, Kevin's narrative reveals the other side as well: struggling families who have no other way of making a living in the harsh, elevated landscape. Their mineral rights and land ownership are all they can leverage. Still, Pops and Paul work to rally the Medgar citizens against the mining companies and their devastation of Kentucky's mountains. The division between the factions intensifies during that summer in 1985. A series of violent crimes rocks the town with more force than the mountaintop explosions and, as the investigation stalls for lack of evidence, Kevin learns the hard truth; in Pop's words, "Evil doesn't have to be loud, son. In fact, it reserves that for the merely boorish. Evil is quiet, stealthy--it sneaks up on you, smiles, and pats you on the back while p*ssing down your leg." The death of Kevin's brother, the wounding of nature and the crimes that happen in Medgar are all brutally dark and ugly, yet The Secret Wisdom of the Earth is splendid and hopeful. Scotton's undeniable love and awe for this region shine through as he painstakingly portrays strokes of beauty in man and nature, even the mystical in the form of a stunning white stag Kevin encounters in the wild. The belief that everyone can make a difference in even the smallest of efforts shines optimism in the bleakest corners of the novel. Christopher Scotton has been a carpenter, bouncer, kite flyer and amusement park ride operator. He lives near Washington, D.C., where he is president and CEO of a software company. He started writing The Secret Wisdom of the Earth more than 15 years ago. As a teenager, Scotton found inspiration in many coming-of-age stories, including Huckleberry Finn, Call of the Wild and To Kill a Mockingbird. He knew he wanted to write, but instead of pursing that dream he detoured into the world of technology. Working his way up to company CEO, between the demands of work and family life, Scotton found plenty of excuses not to write. But why take a technology or business route at all? Scotton explains, "The courageous thing would have been to forgo money and slave away as a starving artist. But the truth is I was afraid. I masked the fear with wonderful excuses. Procrastination is about fear giving you excuses not to follow your dreams." The excuses couldn't overpower the story brewing inside Scotton, though. Several actual events were knocking around in his brain, teaming up with those boyhood literary inspirations, and slowly chipping away at the fear that had thus far prevented his writing. 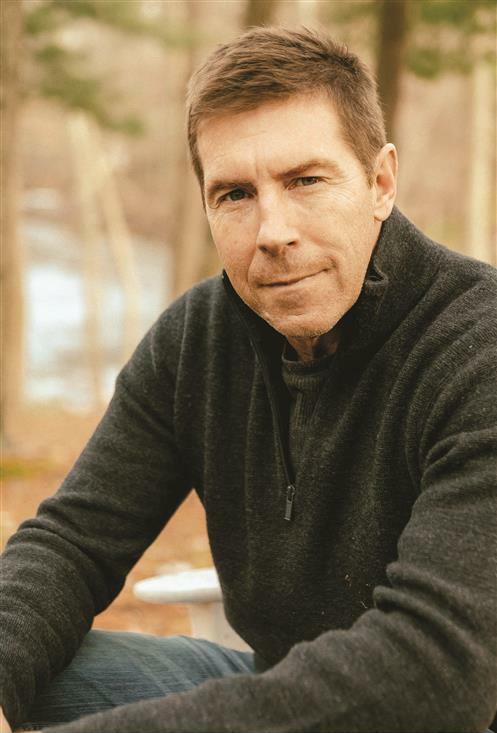 Another factor that worked to defeat the fear was Scotton's love of the Appalachian region, ignited first by his appreciation of bluegrass and Americana music; he knew this was the perfect setting for the story he wanted to tell. Scotton submerged himself in the locale. Scotton says, "One of my biggest concerns was that I'm not from that region and writing authentically was important to me. I wanted to depict the region with humanity and grace but still tell the truth, so I spent a tremendous amount of time listening. When I would go to Eastern Kentucky and Virginia, I'd really listen to how they spoke and inflection and diction and cadences." Leaving Appalachia to return to his family and job--in London at the time--Scotton had to maintain that voice and find small snatches of time to write. One of the best times was five in the morning before he set off for his office job, then he would edit and revise what he wrote late at night after his sons had gone to bed. The music that first ignited his love of the Appalachian region helped as he wrote, too. "An important part of being able to write is transporting me back to the world. Bluegrass helps me do that." The Secret Wisdom of the Earth isn't purely Appalachia, though. Scotton's own childhood home seeps into the novel as well. Growing up outside of Washington, D.C., he lived in a place that nurtured his sense of discovery. "I grew up in the country--cowfields and cornfields--our summers were very much like Kevin and Buzzy's. We spent our summer days trying not to get in trouble." Scotton and his friends even had a black mud pit, "The Treatment," that they would lower themselves into. And, of course, "we had a great tree house; not as well-constructed as Buzzy's but we definitely had a tree house." When he was about 14, his childhood home started to change. Developers came in, cutting down trees, erecting construction sites and leaving Scotton with an overwhelming sense of loss. Despite the inspiration of actual events, his childhood experiences and his love of the Appalachian region, the writing process wasn't smooth sailing for Scotton. While he was still living in London, he hit a place where his characters and plot just weren't coming together. Something was missing and he couldn't figure it out. So he put The Secret Wisdom of the Earth in his desk drawer. He moved back to the United States and started a business that demanded a tremendous amount of his time. And the book sat some more. All told, the unfinished manuscript stayed seven years in the drawer, until another trip to the Appalachian region, when Scotton discovered the missing element that would finally pull the various parts of his story together: "The first time I saw a mountaintop removal operation I slid through a hole in the fence--they were closed--and I snuck in. The devastation was so appalling. I'd never seen anything like it. It made me want to throw up." Scotton immediately knew the physical loss of the mountaintop was the allegorical connection to the loss each character experiences in the novel. This was the missing piece and it finally drove his plot forward. The land destruction also added a new layer to the novel. Having an extreme personal interest in environmentalism, Scotton found mountaintop removal horrifying. But as he spoke to people about it, he discovered it's not as simple as hating the process. "I spoke to people who are in mortal opposition and those whose livelihoods depend on it. What are those people going to do? There aren't many economic opportunities outside of coal in this region." Ultimately, Scotton believes, the markets may take care of the actual controversy. In the meantime, it's made for an excellent adhesive, securing all of his story elements together. Also vital to the novel is spirituality, represented most visually by the white stag that guides 14-year-old Kevin through the Kentucky wilderness. Scotton says, "I'm a huge believer that the world does not end at the observed world. There is much more that we don't see and even more that we don't understand about how the world works. It's the height of human arrogance to believe it all stops at what we see. The white stag plays a critical role in Kevin's journey. These creatures are rare in the wild because they are easy targets, so they get shot young. The white stag is as close to unicorns as you can get. I felt that Kevin needed something magical or mystical to help him find his way home because I believe things like this exist." The publication of The Secret Wisdom of the Earth isn't changing things much for Scotton. He still gets up to write at five in the morning and then puts on his CEO hat and heads off to the day job. He says, "I'm very good at compartmentalizing. When I'm in the office, I don't think about my writing and when I'm writing, I don't think about the office." So which role is more in line with the authentic Christopher Scotton? "Definitely the writer. I feel most alive and most comfortable and most at peace and most joyful when I'm writing and it's working."